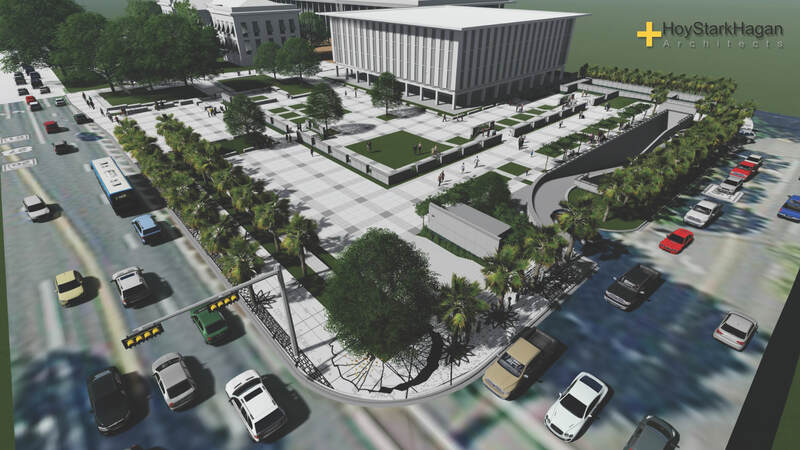 The Capitol Complex Improvement Project is focused on enhancing the cultural significance of Florida’s Capitol while improving the complex’s safety, access, and functionality. The Florida Department of Management Services is spearheading this major repair project. Constructed in 1977, waterproofing systems above the Florida Senate and Florida House of Representatives garages began to fail due to the considerable weight of nearly 150 trees and more than 7,300 tons of dirt above both garages, which caused water to seep into the structures and cause damage. In 2004, DMS first identified water damage in the garages and began making minor repairs. In 2014, DMS began receiving funding from the Florida Legislature to conduct long-term repairs. Independent architect and engineering experts determined the excessive damage caused by water intrusion required immediate repairs. They recommended closing the Florida Senate garage, which DMS did on May 27, 2016. They also recommended removing the weight from above, which DMS did starting in July 2016. Throughout 2016, crews removed all trees above both garages and a prescribed amount of dirt above the Florida House of Representatives garage. Additionally, crews removed all dirt above the Florida Senate garage and abated the former coal tar pitch waterproofing material. Throughout 2017 and into 2018, construction crews made structural repairs inside the Florida Senate garage, relocated utilities away from the Florida Senate parking garage in order to excavate dirt to the base of the structure, began applying a new waterproofing system, and began preparations for a future memorial park. The garage opened for parking in August 2018 and the project is scheduled for full completion in late 2018. The Florida House of Representatives garage project is scheduled to begin in Fall 2018. The projects will include additional space within the Capitol complex for events and gatherings. 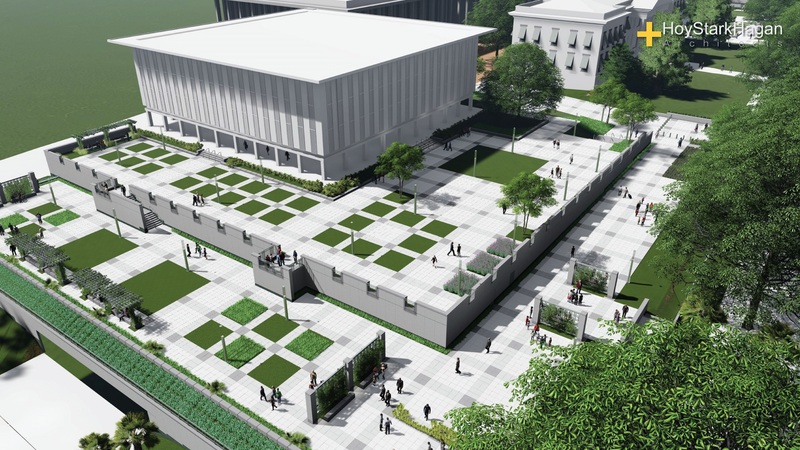 In 2014, the Florida Legislature directed DMS to provide space for monuments and memorials at the Capitol Complex, and DMS has begun constructing space for monuments and memorials to honor Florida's rich history. Progress can be disruptive, but it is DMS’ goal to minimize the impacts of construction on the Capitol grounds for employees and visitors. To provide adequate communication to the public and affected stakeholders about the work being done to protect the Capitol, DMS has established this webpage. In addition to coordinating work on the parking garages, DMS has plans to conduct repairs at and increase access to Waller Park—the Capitol’s main entrance. Waller Park has experienced similar but less-extensive damage in its underground parking garage. 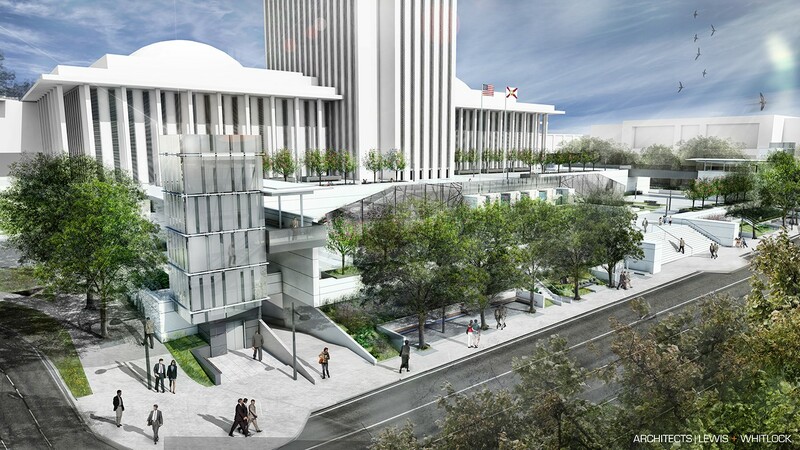 The project includes making access changes, which include adding elevator towers with bridges to provide those individuals with mobility issues adequate access to the Capitol from the west side of the complex. View updated information about pertinent information to allow the public to plan visits accordingly and stay informed. Access a complete list of present and future construction closures.